President Barack Obama on Friday waded into a high-stakes union vote at Volkswagen AG’s plant in Tennessee, accusing Republican politicians who oppose unionization of being more concerned about German shareholders than U.S. workers. Obama’s comments, made at a closed-door meeting of Democratic lawmakers in Maryland, came as the vote to allow union representation at the Chattanooga plant drew to a close. Obama’s interjection in the war of words on Friday, albeit behind closed doors, underscored how much is stake in the three-day vote by VW’s 1,550 hourly workers. The vote is due to end at 8:30 p.m. ET and the results could be announced soon after that. Obama said everyone was in favor of the UAW representing Volkswagen except for local politicians who “are more concerned about German shareholders than American workers,” according to a Democratic aide who attended the meeting with Democratic lawmakers in the House of Representatives. NOT SO FAST BARACK, WRONG AGAIN … Not everyone was in favor of UAW representation ... including 712 workers who voted in the majority and said NO!!! 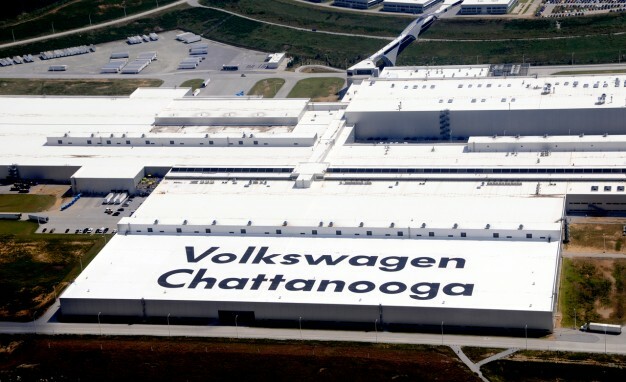 Union organizers in the South suffered a setback Friday when workers at the Volkswagen plant in Chattanooga, Tennessee, voted against being represented by the United Auto Workers. The vote was 712 against the union and 626 in favor. There are about 1,550 hourly workers at the plant who were eligible to vote. The vote was seen as the UAW’s best chance to organize a nonunion auto plant, because Volkswagen management did not oppose the effort. UPDATE I: Frank Fischer, CEO of Volkswagen Chattanooga, thanked the workers for participating in the vote in the following statement. “They have spoken, and Volkswagen will respect the decision of the majority,” said Fischer in a statement. Of about 1,500 Volkswagen workers eligible to vote, 89% cast ballots between Wednesday and Friday night. “We think it was unfortunate that there was outside influence,” said Gary Casteel, UAW regional director who led the unsuccessful campaign. “I want to urge the VW employees to go back to the business of building cars. There are some issues to be sorted out. UPDATE II: From the Chatanooga Times Free Press: UAW President Bob Kingexpresses his disappointment of the vote. UAW President Bob King said he was “deeply disappointed” by the outcome, but insisted that the union will regroup and consider its options, which may include a challenge to the results because of what he said was interference by Tennessee Republicans. UPDATE III: And now for the most hypocritical “sour grapes” comment of the post vote outcome from the unions, they actually had the audacity to claim their were “outside outsiders trying to influence and intimidate VW workers.” Who are the outsiders UAW? That would be you, trying to come to a Southern, right to work state and causing chaos within a business that came to the state to operate and has been successful because they do not have to deal with unions. A note to the unions, Sen. Bob Corker is a Tennessee senator, whose job it is to represent the people of Tennessee. He is hardly an outsider. 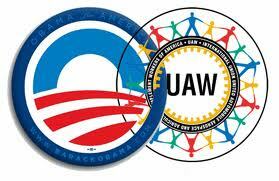 The UAW and Barack Obama are the outside “carpetbaggers”. Also, how comical is it for unions to call out others for intimidation … the UAW and other unions are infamous for intimidation and thuggery. During three days of voting, the UAW repeatedly complained of outsiders trying to influence and intimidate VW workers into voting against joining the union. One specific complaint involves Tennessee Senator Bob Corker, a Republican, and vocal critic of the UAW. During the vote, Corker said he had been told by people close to Volkswagen that the German automaker would not bring production of a new vehicle to Chattanooga if workers rejected the union offer. There will be blood … Racist Union Thugs. The Michigan union thugs are not for all labor are now they. During the pro-union rally following the signing of the “right to work” legislation, union members destroyed hot dog vendor Clint Tarver’s cart. As reported at Michelle Malkin, Tarver was caught up in the violent chaos that erupted when union thugs attacked the Americans for Prosperity tent on the capitol grounds in East Lansing, MI during the right-to-work protest. Sadly, President Barack Obama has said nothing to condemn the union violence or the attack against Clint Tarver. If this was not bad enough, that these thugs destroyed this man’s private property, but they also hurled racial slurs at him. They called him an “N” word and said he was on the wrong side. UNREAL. But it is the Tea Party who is branded racist. The Velvet Hammer reports that the thugs shouted “Uncle Tom” and “ni&&er” at Tarver. The audio of the racial slurs were confirmed by Dana Loesch during an interview with Clint Tarver. Donate HERE to help Clint Tarver get back on his feet. To date over $25,000 has been raised!!! Just curious, where is President Barack Obama’s outrage over the violence from these union thugs? Where is Obama’s comments on the unions acting stupidly like he falsely accused the Cambridge, Mass police? Where is Obama’s comments that Clint Tarver could look like your son uncle? How could anyone say that Obama is a president for all of the people? More from the compassionate and peace loving LEFT … Peaceful Protest? So there is no double standard in America, eh? Democrat Michigan State Rep. said that “there would be blood” and the union thugs at yesterday’s Right to Work rally in East Lansing, MI did not disappoint. We all that that the Left was pro-choice. But that is only for the murder of the unborn, when it comes to whether a person has the right to choose whether they want to become a member of a union, those are fighting words, literally. Steven Crowder, a Fox News contributor, was attacked and punched in the face several times by a union thug at a pro-union rally in Michigan. This is how unions deal with folks who dare have an opposing point of view. Is it any wonder why a “right to work” law needed to be passed. Hmm, where is President Barack Obama condemning the violence? The silence from the White House regarding this disgusting union thuggery is deafening. Michigan Governor Rick Snyder signed the “Right to Work” law into legislation limiting the rights of unions in the state to force individuals to join or pay union dues. The Governor and the House passed the bills amid the boos of protesters. Imagine, just imagine if the Tea Party ever acted like this? They would be arrested, carted off by police and be the headline and top story of ever print and TV media. Oh that’s right, even though they are constantly called unruly and racists, the tea Party has never acted like this. UPDATE I: Newsbusters reports further on the Crowder Assault and AFP Tent Torn Down with woman and children inside. UPDATE II: The Gateway Pundit has the identity of the union thug involved in this unprovoked assault.